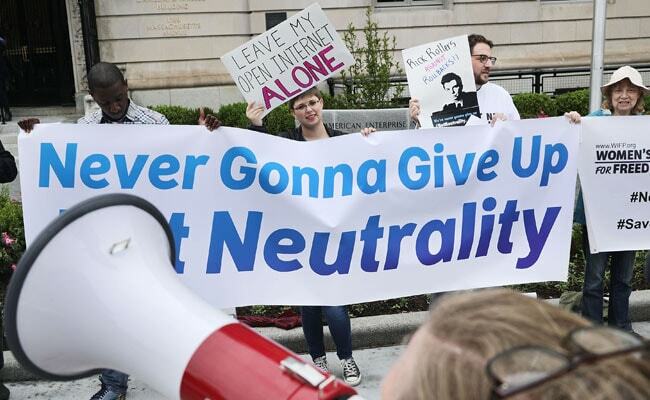 Net neutrality has been the subject of legal and political battles for over a decade, with both sides claiming to represent a "free and open" internet. Washington: The US agency regulating internet policy said Monday its website was attacked after a TV host urged viewers to pressure officials over plans to roll back "net neutrality" rules. The Federal Communications Commission, whose chairman last month promised to review a 2015 rule that requires broadband firms to treat all online traffic equally, said it was hit by a denial of service attack, which is a flood of traffic aimed at taking down a website. "These were deliberate attempts by external actors to bombard the FCC's comment system with a high amount of traffic to our commercial cloud host," the FCC said in a statement. "These actors were not attempting to file comments themselves; rather they made it difficult for legitimate commenters to access and file with the FCC." The action came after John Oliver, who hosts the widely watched satirical news program "Last Week Tonight," rebuked the FCC for its action and called on viewers to make their sentiments known to the regulator. Oliver mocked FCC chairman Ajit Pai's claim that voluntary measures would keep broadband firms from blocking out rivals as a pledge "as binding as a proposal on 'The Bachelor.'" Oliver created a web link where viewers can offer their comments, and also suggested in a tweet that they "urge the FCC to keep strong net neutrality rules." The FCC did not respond to an AFP request for comment on whether Oliver's comments had anything to do with the attacks. Pai, appointed by President Donald Trump, said in April he will propose a reversal of the 2015 order and seek to return to "a light-touch regulatory framework," which he argued has "enabled the internet to grow and evolve beyond almost anyone's expectations."